Let us design something special for your company and within your price point. Through our wide selection of packaging and your input, we will create a gift of Encore Toffee or Encore Brittle that will be the perfect way to represent your company or business. Contact us for details. We also have limitless packaging capabilities for hostess gifts, party favors, weddings, showers, birthday parties, retirements, welcoming gifts, or any special event. 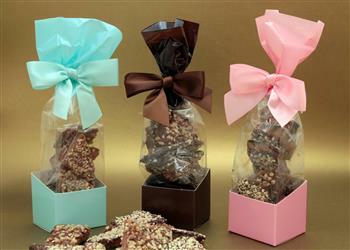 We will create your selection in bags, boxes or special tins. Contact us and let us know your needs. You’ll be glad you did. 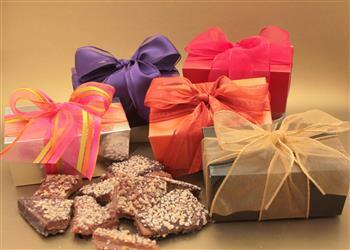 Our Encore Toffee is truly amazing. One taste and you will be a believer. We still make our English Toffee and Brittles the old-fashioned way. 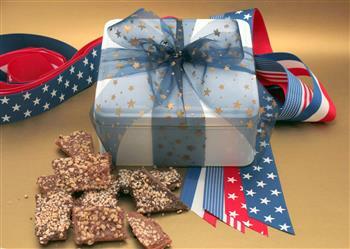 If you have a question or comment about our amazing Toffee or Brittles, we’d love to hear from you!